 There have been perhaps hundreds, even thousands of videos of various quality and length devoted to Colorado's surviving narrow-gauge lines. Some of the most professional and entertaining focus on the entire state, while others just as good tend to settle on the Durango & Silverton Narrow Gauge Railroad or the Cumbres & Toltec Scenic Railroad. 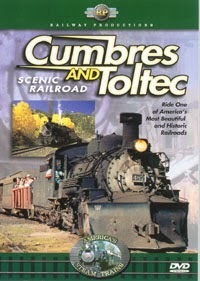 The latter of the two is the subject of The Cumbres & Toltec Scenic Railroad DVD by Railway Productions, the production branch of online railroad retailer www.a-trains.com. Why this DVD, a reissue of the original VHS release? There are lots newer. There's a few different reasons. The bulk of the footage was shot in the late 1990s, a specific point in time in the heritage railroad's history that has since passed. This is before the ridership dive in the 2002 fire season in Colorado, before the 2010 destruction of Lobato trestle and the epic struggle to continue service and rebuild the trestle and reconnect the terminals on the 64-mile line between Antonito, Colorado and Chama, New Mexico. It is a yearbook of the railroad at the end of the 20th century with differences in the last 14 years both small and great that familiar eyes will spot. For example, regular consists at the time of the video's production still contained a number of converted boxcars used to haul passengers from the earliest days of the C&TS. The railroad has since built it's own, semi-standardized fleet of passenger coaches in Pullman green and later Tuscan red. Another clear example of it's time-capsule quality is a demonstration of the use of Chama's iconic coaling tower. 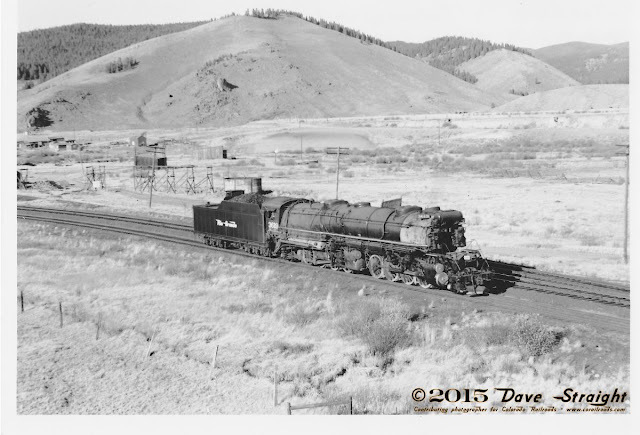 Probably the tallest building in Chama for the first hundred years, the coaling tower has long since been out of service, with each of the engine's tenders stocked with the use of a tractor's scoop bucket or front-end loader. 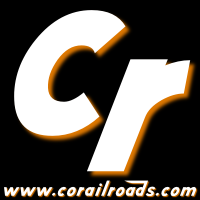 The coaling demonstration alone is worth the effort to get this video. Part of a larger feature documenting each step taken to prepare the locomotives for service each morning, the coaling tower sequence (a little less than 8 minutes into the main video) is invaluable to any model railroader seeking to create their own version for their railroad or anyone wanting to understand the rigors of coal-fired steam operations on a railroad. Although other aspects of railroad technology like narrow gauge versus standard and outside-frame Mikados are briefly discussed, he video itself has a broader range of appeal and technical aspects are discussed but not in great detail. History, operations, scenery, landmarks and geography are woven together quite masterfully throughout the video. The shots are well-produced and the narration, while not top quality like those of say, Pentrex, still flows smoothly and easily, giving a naturally good feel to the experience. The background music also belies a budget production of the mid- to late 90s. In fact, it reminded me of the job training videos that so many businesses used to educate or motivate their employees, often having the opposite effect! On the other hand, the music is composed by a professional and remains relatively unobtrusive while still giving a sense of drama or anticipation where appropriate. The video is thorough despite being a bit dated. Both Chama and Antonito departures are extensively covered, with a ride on trains climbing both sides, and coverage meets at the summit of Cumbres Pass. Pacing shots of engine 484 out of Antonito are especially nice, if not entirely steady by today's digital standards. Autumn gold aspen groves show up often. Mudhen 463 makes a few prominent appearances. Fans of the engine will remember that she broke down in 2002, necessitating a costly and extensive rebuild from 2009 to 2013. Also appearing briefly is rotary snowplow OY during her possibly last-ever outing in 1997. Whiplash Curve, Phantom Curve, Tanglefoot Curve (called Cumbres Loop "in the old days" according to the narration), Windy Point, Mud and Rock Tunnels, Lobato and Cascade Trestles, and the dramatic Toltec Gorge get their close-ups with photo freights and passenger runs. In all, a very balanced and well thought-out production that makes a fine 20th century. So it's a generally favorable review. I didn't find anything to fully criticize outside of the number of Cumbres & Toltec videos already out there and the MSR price of $30 ($24.95 + 5.00 S&H). With Blu-Ray gaining more of the mainstream market, I can't bring myself to part with that much for a VHS re-issue to DVD. Again, not a lot to criticize on a great 90 minute video that's eminently watchable, especially for those who remember the previous century! Want more of the Cumbres & Toltec Scenic Railroad? Ride the Cumbres & Toltec Scenic Railroad this year!